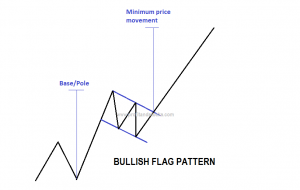 In flag pattern, there will be a rectangle sloping in the opposite direction of the prevailing trend. 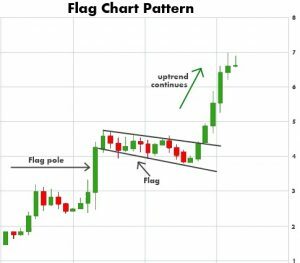 Price movement of the prevailing trend often called pole of this flag pattern which helps us to measure minimum future price movement from the breakout point. 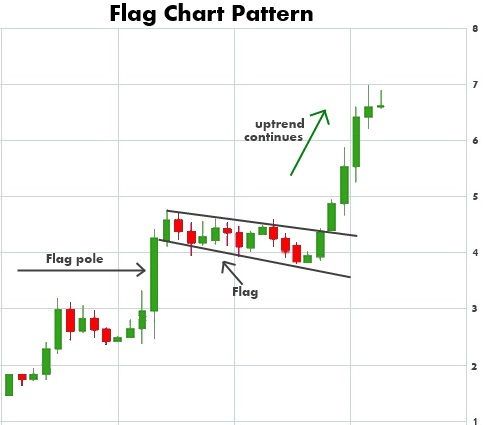 A figure of this flag pattern has given below. 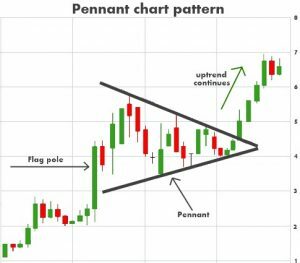 Pennant pattern looks like a symmetrical triangle, but there are some differences between a pennant and symmetrical triangle pattern. 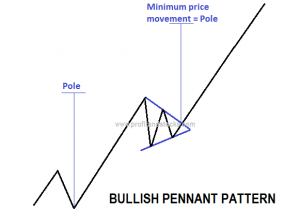 Pennant pattern requires less time than a symmetrical triangle. 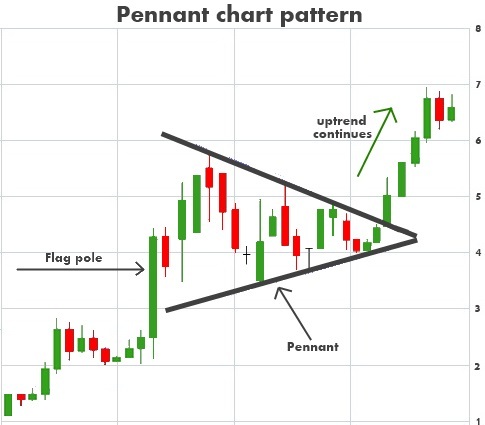 This is one the significant differences.Pennant pattern develops after a sharp price movement, and it consists two converging trend lines.Here is an example of the structure of pennant pattern. 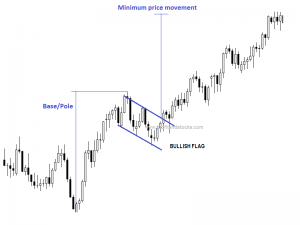 Flag pole: It is the distance between the first support level to the high of the flag/pennant in case of bullish flag/pennant for bearish flag/pennant it is the distance between the first resistances to the low of flag/pennant. Body: In case of flag the body is a small rectangular pattern that slopes against the trend. The rectangle is formed by two parallel trend lines. 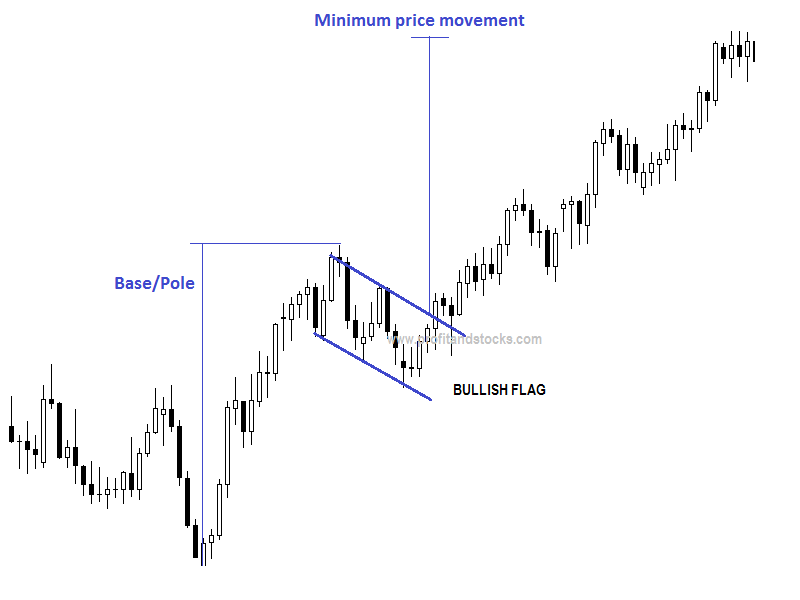 For example if the trend was up then it the flag slopes down and vice verse. 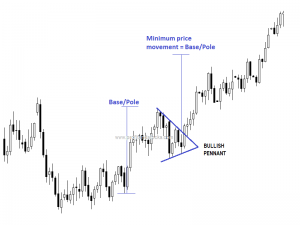 Breakout : It is very important for the confirmation of this pattern. A breakout is support by huge volumes. Breakout is the confirmation of this pattern the previous trend has resumed. 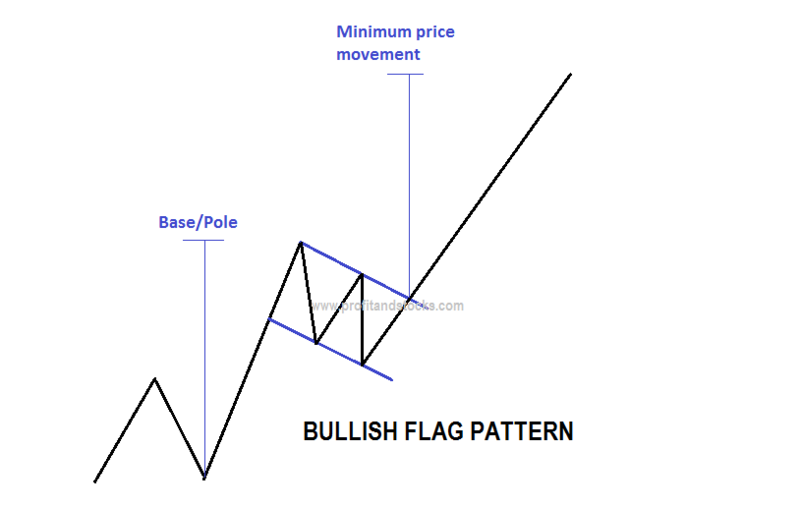 Volume : Volume plays a key role in confirming a number of chart patterns same applies here also As flag/pennant formation develops there is decrease in volume activity while there is increase in volume as the pattern gives breakout. 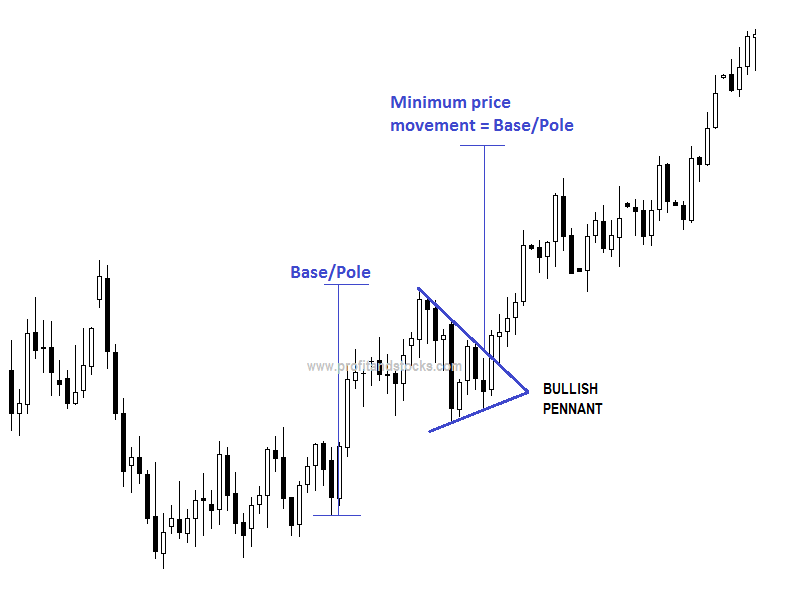 Price Target : One can roughly place a price target after a breakout, and it should be the height of the flagpole. 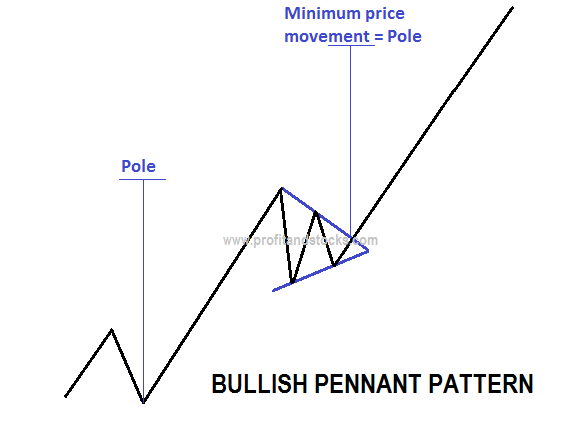 NOTE : For all continuation patterns. Volume tend to dry up during the formation and build again on the breakout.